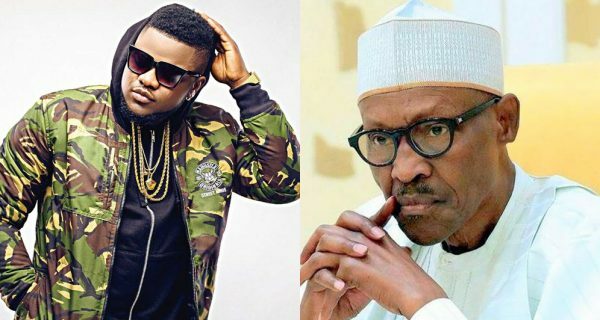 Nigerian singer “Skales” has taken to his twitter page to blast president buhari, claiming that he is the worst president in the world. According to him, President Buhari deceived people into voting him in. 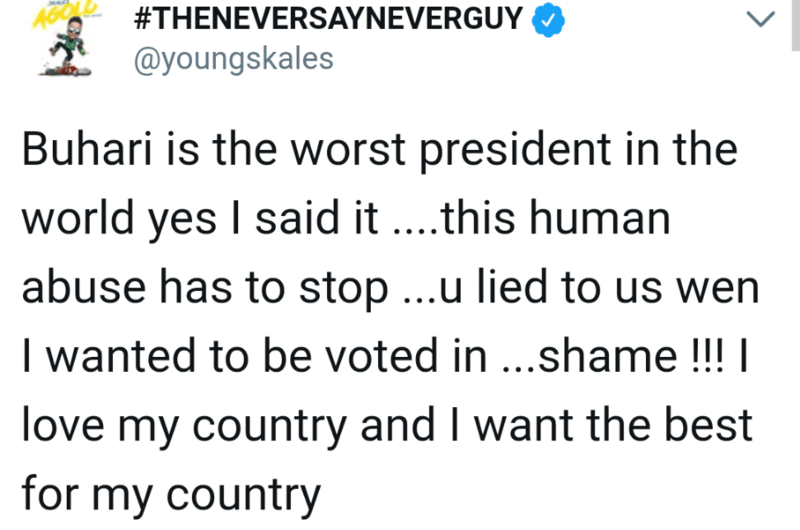 “Buhari is the worst president in the world yes I said it ….this human abuse has to stop …u lied to us wen I wanted to be voted in …shame !!! I love my country and I want the best for my country”. Many of his followers agree with him, as they believe President Buhari should not re-contest in the 2019 general elections.